WILLEMSTAD – During the weekly press conference of the Council of Ministers, Prime Minister Ivar Asjes declared that it’s the Venezuelan State Oil Company (PDVSA) turn to make a move. “The ball is now in their court. Since March 23 of this year we have been waiting on their decision about the MoU, which we have to sign,” The Premier said. The MoU is regarding the future of the oil refinery in Schottegat. The Prime Minister has also said that both parties exchanged opinions on various points, which are essential for the signing of the MoU. “We have an agreement. 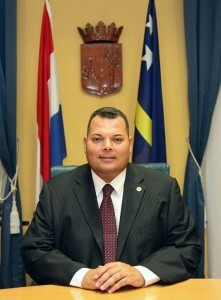 At this moment we are waiting for the Vice President of PDVSA, Asdrubal Chavez to indicate when he will be in Curacao to sign the MoU,” Asjes said. Both parties will not start the process of looking for a strategic partner to operate the oil refinery.